Typographer Non-stop creative fonts. Ananda K. Maharjan, Devanagari typographer from Nepal. Non-stop creative fonts. 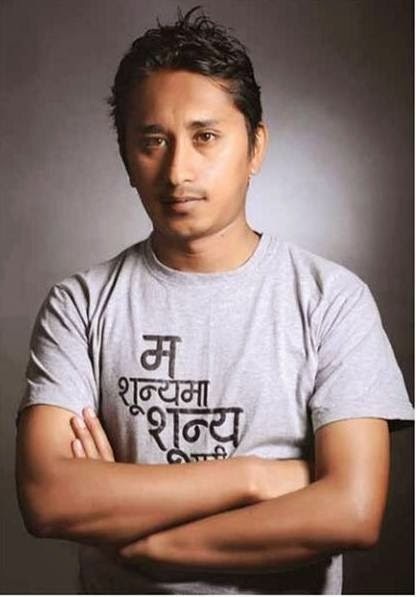 Ananda K. Maharjan, Devanagari typographer from Nepal. Devanagari fonts are widely used in the print world and gaining popularity day by day. Because users of Devanagari are spread all over the world. People who have different mother tongue or language also attract to unique features of Devanagari. Versatility in font maintain the interest of reader in printed works. So print media, magazines and TV workers always use fresh and attractive fonts in their projects to get more and more audience. Same in the Hindi field we have seen some awesome work in hindi fonts in recent years. There is a team working behind every movie or TV serial's credit font decoration takes enough time to built a brand new visual effect in their work with dedication. Ananda K. Maharjan working in graphic designing field from more than decade. Ananda K. Maharjan is a type and graphic designer from Nepal. Continuously designing creative, scripted and some professional Devanagari fonts from last 10 years. These fonts are used not only by Nepali people but many other countries who often use devanagari fonts. Hindi, Marathi and Sanskrit languages are written in Devanagari script, so in India devanagari script is most used for typing purposes. Ananda says that overuse of fonts can create only boring environment. If you have some Hindi fonts installed in your system whose name start with ananda probably these font could be created by Ananda K. Maharjan. In Nepal this name not new for font lovers but in India there is a few persons who is gained popularity countryside specially in font designing field. Recently Ananda K. Maharjan was interviewed by some print media. On 16 January 2014 Ananda posted about his latest interview on his Nepali font blog. ECS Nepal magazine published a two page biography and Nepal culture relevant font created by Maharjan. Recently Maharjan famous font Kinara got place in trailer of 'Fitkiree" a Nepali movie. Ananda says that "getting opportunities to work in promotion of Nepali movies is an achievement in itself". Where can we find the font created by Mr Ananda? How to download Ananda font in my PC ? As Ananda has already mentioned the best places to download his fonts in wide range. You can download here my collection of selected ananda fonts. Arvinder Hindi, Punjabi and Rupee sign free font. My favourite hindi fonts. 32 All time best fonts.